A fun take on an old favorite. 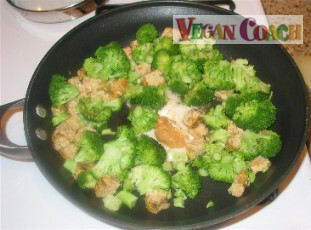 Try this tasty tempeh vegetarian stir fry mixed with broccoli, peanut butter, maple syrup, and more! A quick and easy dish you can throw together in about 10 minutes. 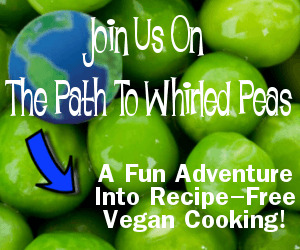 Within the pages of our website, I teach you how to make everyday vegan food. Sure, sometimes I get a little fancy. But for the most part it's just straight-ahead plant-based dishes without too many bells and whistles. This dish is just SO easy to throw together, yet it has a delightful flavor. 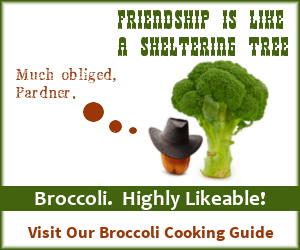 The secret is in letting your broccoli get a little browned which really works with the toasted sesame oil flavor. 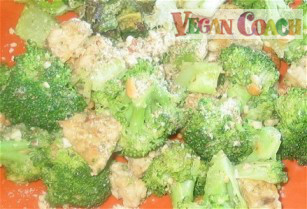 The two main ingredients in this dish are one package (6 ounces) tempeh and 4 cups of broccoli -- which is equal to about 2 heads (or two stalks with their florets). You'll want to clean your broccoli before using it. So here's how to throw this dish together in a few minutes. 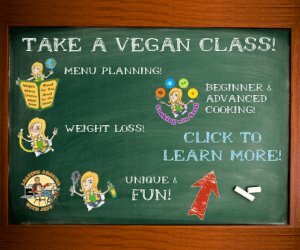 Next, cut your broccoli up into bite-sized pieces. Place a large frying pan over medium-high heat. 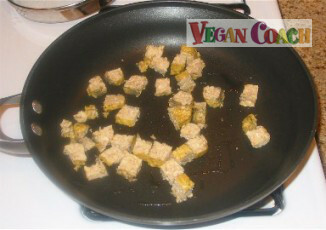 Heat 1/4 cup veggie broth (or a swipe of olive oil), add cubed tempeh and cook for a few minutes until tempeh starts to brown. Add more veggie broth (or water) as needed, a little at a time, until the job is done. Next, add broccoli, cover, and heat until bright green and juuuuust tender (5-7 minutes). 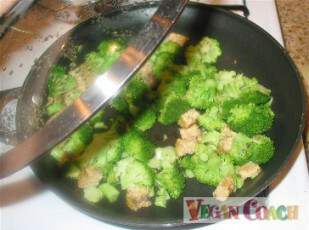 Be sure the broccoli gets a little browned on the underside which should happen fairly quickly in the medium-high heat of the pan. Browning the broccoli brings out a lot of flavor. Clear a space in the center of the pan and add the ingredients below. As always, there are no measurements here. Just remember you can adjust the flavors as you go along. So start slowly until you get the hang of how much each ingredient brings to the proverbial table. Stir the mixture together, taste. Adjust ingredients as desired. Plate. 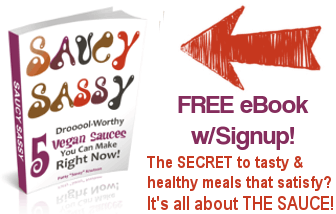 I sprinkled mine with coarsely ground almonds to add a nice texture and nutrition boost, but this is optional, of course. 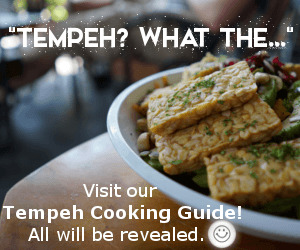 Today's UNrecipe was brought to you by our good friends Tempeh and Broccoli. Ideas for flavorings in this meal were inspired by Broccoli's Flavor Matches. 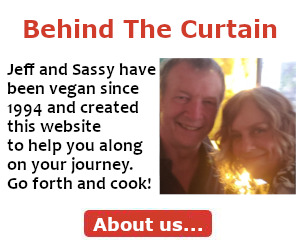 By using the information found within the pages of our website, you can create quick and easy meals without recipes.